God has crafted a unique vision for each of our lives—a voyage of discovery filled with fantastic riches that are embedded in the very journey itself. 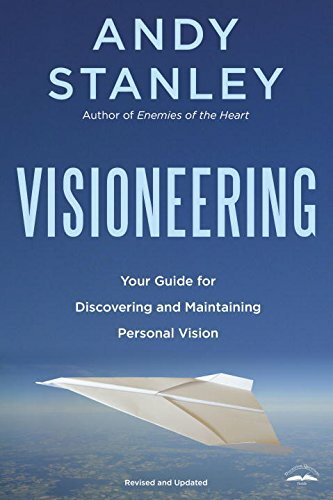 By exploring the ordinary life of Nehemiah and his vision for accomplishing the extraordinary, Visioneering by Pastor Stanley provides direction, motivation, and encouragement for your own amazing odyssey of self-discovery. 272 pages, softcover from Multnomah. 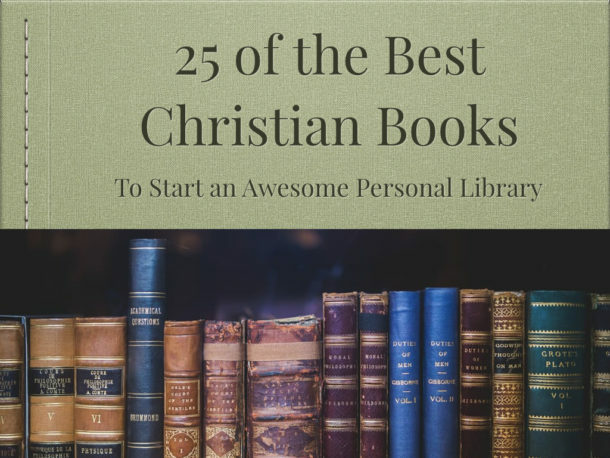 Includes a discussion guide for small groups. Propel your church forward by embracing God’s plans! 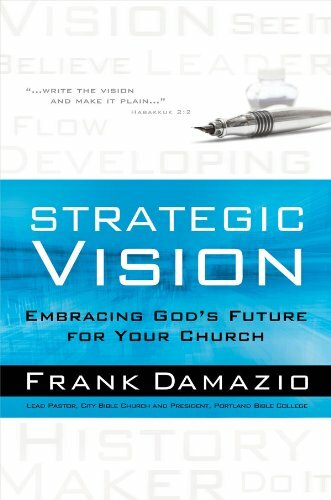 Providing clear directives that can be applied to every situation, Damazio’s biblically based model will help you appoint a leader responsible for developing a vision (from which all the other elements will flow); develop and implement the strategy; create momentum; expand on the idea; and more. 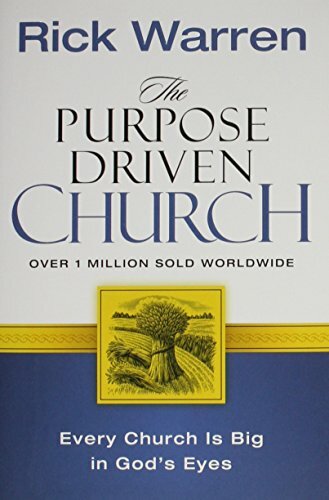 Rick Warren believes that in order for a church to be healthy it must become a purpose-driven church by Jesus. Now the founding pastor of Saddleback Church shares a proven five-part strategy that will enable your church to grow…Warmer through fellowship – Deeper through discipleship – Stronger through worship – Broader through ministry – Larger through evangelism. Discover the same practical insights and principles for growing a healthy church that Rick has taught in seminars to over 22,000 pastors and church leaders from sixty denominations and forty-two countries. The Purpose-Driven Church shifts the focus away from church building programs to emphasizing a people-building process. Most churches have a mission statement, but it’s often so vague (e.g., “loving God, loving people”) that members find little to rally around. 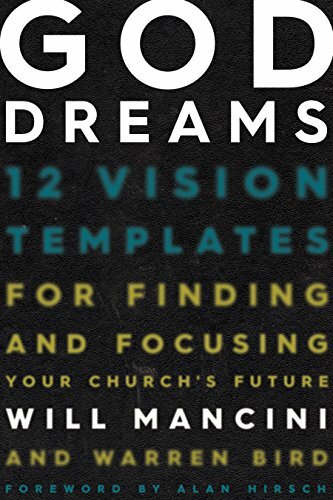 After 15 years of research and consulting, Will Mancini has come up with 12 major templates in God Dreams so your church can break through to clarity and reach achievable goals. One thing is certain – if our church or organization is going to accomplish its mission, we’re going to need to be: Determined. Resolute. Intentional. We’re going to need to be willing to do whatever it takes to keep the vision from being detoured or derailed. Where there is no vision, people perish. They wander off in random directions. On the flip side, when everyone understands and embraces the vision, there is life, passion, growth, and success! And God will be glorified. 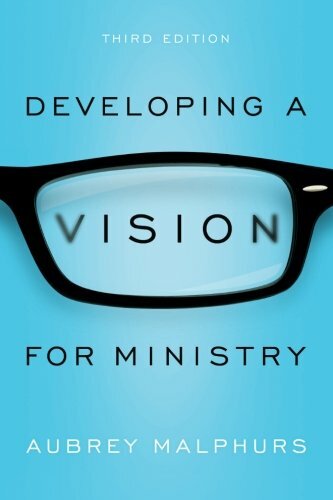 In this updated edition of his bestseller, Barna addresses a major concern of church leaders—how to embrace God’s vision for their ministries. 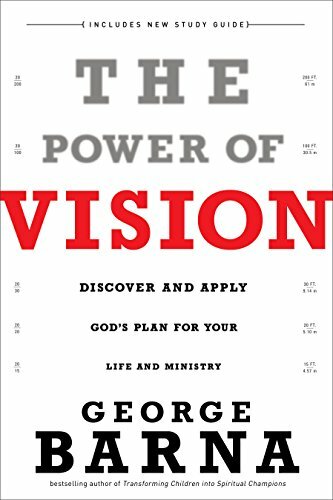 Stressing the biblical mandate for this, he reveals how vision differs from mission, how it reflects God’s will, how a clear image from God is the beginning to successful kingdom building, and more. Strong leaders have vision that is both far-reaching and focused on the details. 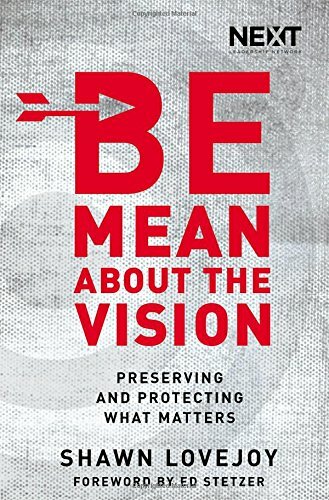 Having that vision is what separates churches with a hodge-podge of ineffective programs and activities from churches that reach people effectively, efficiently, and consistently with the Good News. In Developing a Vision for Ministry, leadership expert Aubrey Malphurs helps you develop and define unique, realistic, and appropriate goals for your ministry. 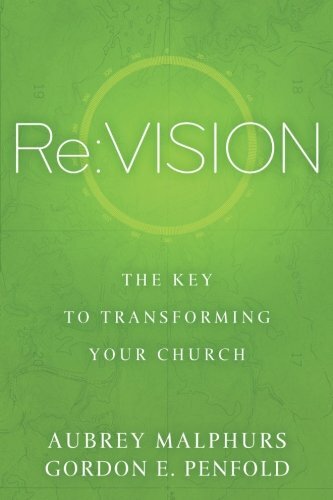 In Re:Vision, Malphurs and Penfold take pastors through a process of discovery and self-evaluation designed to help them re-envision their role, create a culture for positive change, and recruit people to come alongside them as helpers and encouragers. Multiple appendices offer self-diagnostic tools and surveys to help pastors assess their strengths and weaknesses for more effective ministry. 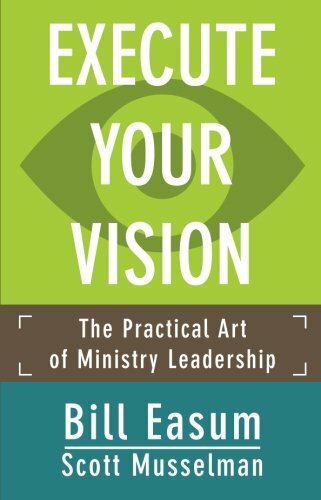 Execute Your Vision: The Practical Art of Ministry Leadership explores how to bring God-given visions into reality in a fast-paced world that is changing at an exponential rate. Long-esteemed church consultant Bill Easum and leadership coach Scott Musselman focus on the obstacles that keep many leaders “stuck,” demonstrating the steps required to move ministry forward. Easum and Musselman offer useful information, practical aid, essential principles, and reflection points to demonstrate how to successfully pursue a God-given mission. Bill Hybels invites you to consider the dramatic impact your life will have when you allow your holy discontent to fuel instead of frustrate you. 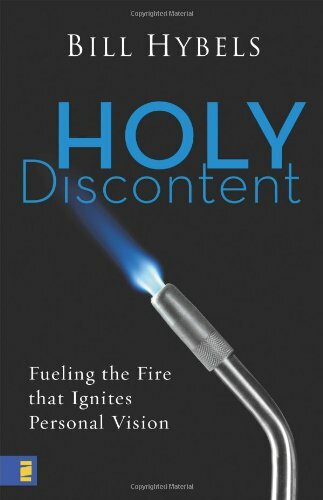 Using examples from the Bible, his own life, and the experiences of others, Hybels shows how you can find and feed your personal area of holy discontent, fight for it when things get risky, and follow it when it takes a mid-course turn. As you live from the energy of your holy discontent, you’ll fulfill your role in setting what is wrong in this world right!